Modello Highs in Narendrapur, Kolkata South by Modello Ventures LLP is a residential project. The size of the Apartment ranges in between 1113.0 sq.ft. 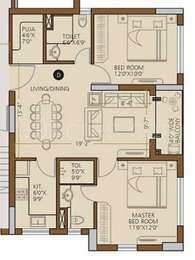 and 4731.0 sq.ft. Modello Highs offers facilities such as Gymnasium and Lift. Bank loan approved from HDFC home loans, ICICI, State Bank of India, United Bank of India, AXIS Bank LTD., LIC Housing Finance Ltd. and Dewan Housing Finance Corporation Limited (DHFL). The project is spread over a total area of 4.59 acres of land. It has 70% of open space. Modello Highs has a total of 3 towers. The construction is of 17 floors. An accommodation of 171 units has been provided. Modello Highs brochure is also available for easy reference. What apartment sizes are available in Modello Highs? The project offers apartments sized between 1113.0 sqft and 4731.0 sqft. How much is area of 2bhk in Modello Highs? 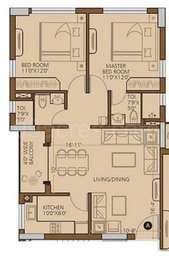 Two-room units (2BHK) in the project are available in an area of 1113.0 sqft to 1128.0 sqft. What is the area of 3 bhk in Modello Highs? 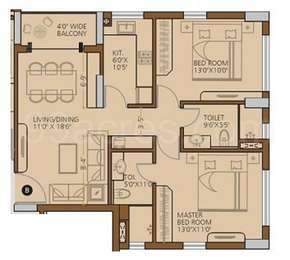 Three-room units (3BHK) in the project are available in an area of 1448.0 sqft to 1928.0 sqft. What is the area of 4 bhk in Modello Highs? The size of 4BHK units in the project ranges from 3070.0 sqft to 4070.0 sqft. How much is the total size of Modello Highs?The project is spread over an area of 4.59 Acres. Hi, I want to know about E M Bypass, Kolkata South area growth status ? What other project I can find nearby this project ? I need some reviews and suggestions about it. Pls suggest. Hi Shravan, E.M. Bypass, is a major road on the east side of Kolkata that connects Bidhannagar on the northeast to southern parts (Kamalgazi) of Kolkata. It was designed like a bypass or beltway on the eastern side of Kolkata to lessen the perennial traffic congestion on the entire stretch of Gariahat Road. This area is facing great development from real estate point of view. You must visit the site once and explore the location.